"Superb artistry shines through this excellent release." 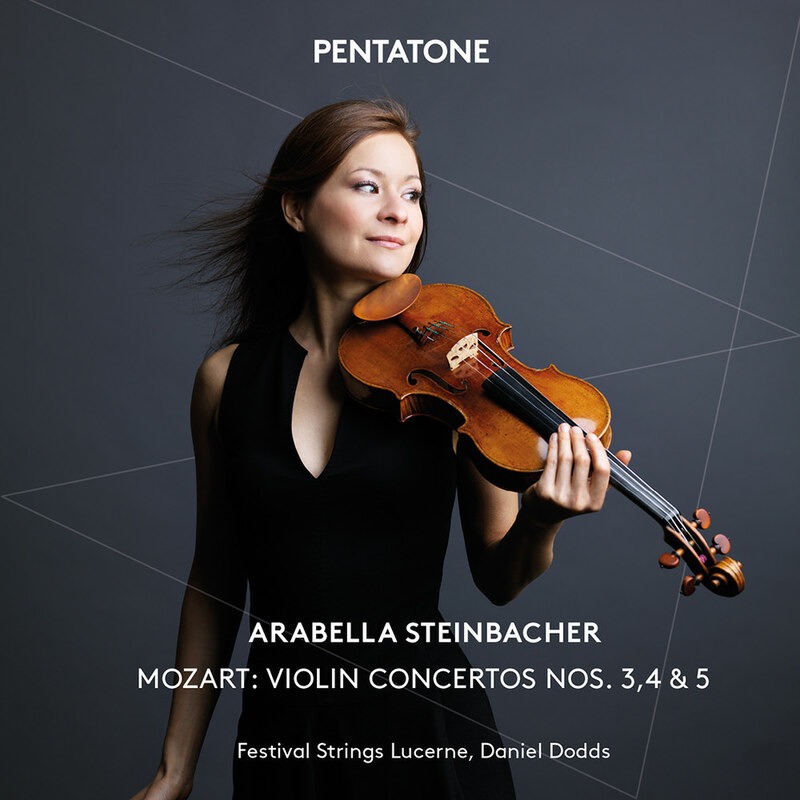 Violinist Arabella Steinbacher studied her first Mozart violin concerto at the age of eight. Since then, she has had an almost lifelong relationship with Mozart's violin concertos, an underlying theme of her career. These three concertos are the most popular of his violin concertos, yet despite many requests from fans she had never recorded them until this release, where Steinbacher is joined by conductor Daniel Dodds and the Festival Strings Lucerne. Audio recording & Postproduction: Polyhymnia International B.V.